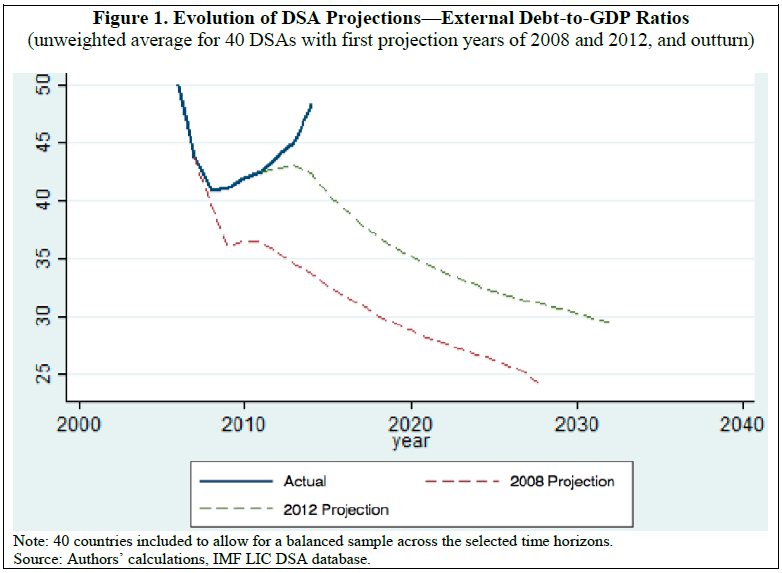 From a new IMF working paper: “This paper develops new error assessment methods to evaluate the performance of debt sustainability analyses (DSAs) for low-income countries (LICs) from 2005-2015. We find some evidence of a bias towards optimism for public and external debt projections, which was most appreciable for LICs with the highest incomes, prospects for market access, and at ‘moderate’ risk of debt distress. This was often driven by overly-ambitious fiscal and/or growth forecasts, and projected ‘residuals’. When we control for unanticipated shocks, we find that biases remain evident, driven in part by optimism regarding government fiscal reaction functions and expected growth dividends from investment. Prepared Remarks of Melvin L.
Riël C. D. Franzsen is South African Research Chair in Tax Policy and Governance at the University of Pretoria, South Africa, and director of the African Tax Institute. In this interview, Franzsen talks about a new book on Property Tax in Africa. This the first comprehensive study of the property tax in Africa. It provides an overview of the property tax systems of 29 African countries. Hites Ahir: Can you briefly give us a picture about the state of urbanization in Africa? Riël Franzsen: Africa is urbanizing more rapidly than any other region in the world. At the pace urbanization is taking place in Africa sustainable development challenges will be increasingly concentrated in cities, particularly in the lower-middle-income countries. Durand-Lasserve (2016) provides startling projections regarding urbanization stating that between 2015 and 2050 (i.e., in only 36 years) urbanization in Africa will grow from 38 percent to 55 percent which implies an additional 790 million urban inhabitants. With such a population growth, cities will need to increase the level and quality of public expenditures. Hites Ahir: How can property taxation help get urbanization right? Riël Franzsen: Ingram, Liu & Brandt (2013) estimate that annual new infrastructure needs in developing countries will require about 5 percent of GDP over the next 20 years. By contrast, the level of total central and local government revenue in sub Saharan Africa is only about 13 percent of GDP. At the same time, economic growth and increased public investment in infrastructure will drive up property values. Almost certainly this will generate an increased demand for property taxation in African urban areas. The premium on fixing the administration of the property tax should therefore grow. The property tax has good potential for revenue mobilization and there are incentives for African countries to reform their property tax regimes. The cost of urbanization has been mentioned. Central and sub-national governments need more revenue to cope with this phenomenon, in an environment where central governments are generally also eager to reduce transfers to local government a productive local tax is critical. Growing the property tax base can also capture some of the value of location-specific capital investments and benefits from government programs and services. Improving property taxation will likely also require a bigger role for city and regional planners. Hites Ahir: What is recurrent property tax and how important it is in African countries? Riël Franzsen: “Property tax” is often broadly defined to include all taxes on the ownership, occupation and transfer of “property” (which can include real property and personal property). A recurrent property tax is generally a tax on the ownership or occupation of real property, i.e., land and/or buildings. Although levied in most African countries, on aggregate it is not important as either a percentage of GDP or total tax revenue. There is significant room for improving the revenue yield from recurrent property taxes in Africa. 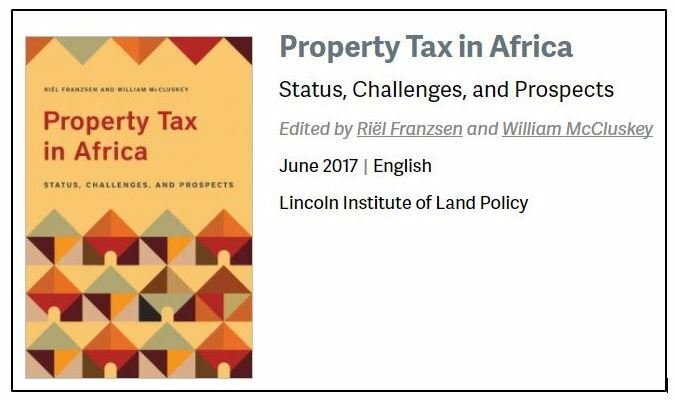 Hites Ahir: In your new book—Property Tax in Africa: Status, Challenges, and Prospects co-edited with William McCluskey—you argue that property tax is levied in all African countries. It is even a constitutional guaranteed source of revenue in some countries. So, what explains the under-usage of property tax in Africa? Riël Franzsen: Although it is a constitutionally-guaranteed source of revenue in some Anglophone countries, constitutions often express ideals or broad principles. Without or with only limited political and institutional support as well as inappropriate policies and general laws (e.g., as regards tax base), a highly visible and data-intensive tax is difficult to administer properly. The recurrent property tax is a complex and costly tax to administer well when value based. Local government revenue mobilization remains a weakness in many countries. The continued and significant reliance on intergovernmental transfers generally increases central government control over how the revenue is spent (e.g., Liberia and Uganda) as evidenced by the situation in Monrovia and Kampala. Also, transfers are often unpredictable and inadequate to fund local services. Enhancing own source revenues is important to ensure local autonomy, promote accountability, enhance economic governance and local ownership and realize decentralization efficiency gains by better linking revenue and expenditure decisions to support local economic and social development. Many African countries rely heavily on real property transfer taxes that are easier to collect than the recurrent tax. However, transfer taxes undermine value-based recurrent taxes as taxpayers are likely to under declare property values. Transfer taxes may also impact negatively on formalizing and regularizing property markets. Lastly, in some countries the co-existence of a recurrent property tax and ground rent is incorrectly viewed as double taxation. Hites Ahir: What property tax bases are currently used, which are performing best, and why? Riël Franzsen: A surprising variety of tax bases are encountered. The laws in some countries (e.g., Kenya, Namibia, and Swaziland) allow local governments to select a tax base most suited to their circumstances. A number of countries, mostly in Francophone Africa also have different taxes for different property types, e.g., a capital value system for undeveloped land, a rental value system for developed land, and an area-based system for rural land. Systems range from area-based systems (e.g., Burundi) to mature, value-based systems (e.g., South Africa). Where area is used, the base is often adjusted with reference to factors (e.g., location, quality, and property use) to approximate market value. Given the paucity of valuation skills and capacity constraints, it is surprising that many countries persist with value-based taxation. In Cabo Verde, Liberia, and Rwanda self-assessment is used as a pragmatic response to the paucity of valuation skills and capacity. In Tanzania some municipalities have been increasing base coverage and revenue through applying a simplified, calibrated-area approach rather than complex depreciated replacement cost system preferred by law. In South Africa the tax base is “market value” which works well in metropolitan municipalities (e.g., Cape Town), but is not appropriate for rural municipalities with predominantly communal land and no real market. 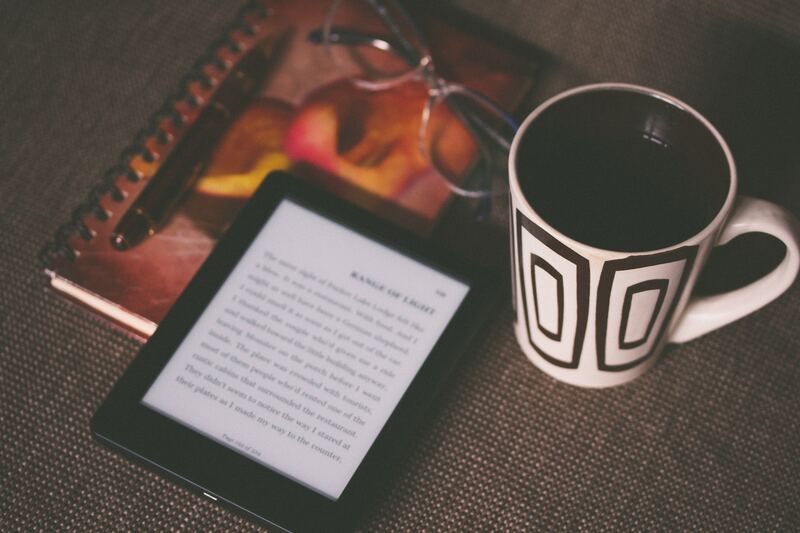 The overall lesson seems to be that it is not a matter of “one size fits all”. Sometimes an area-based approach is simply a more pragmatic approach to raise revenue than a value-based system that cannot be expanded or properly maintained. Hites Ahir: How is the revenue performance of property tax vs. total tax revenue to GDP? Riël Franzsen: Recurrent property tax is not a significant revenue source in the total tax mix in African countries, South Africa being the exception. Although “property taxes” in Mauritius and Morocco exceeds 1 percent of GDP, property transfer taxes constitute the lion’s share rather than the recurrent property tax. Research by Bahl & Martinez-Vazquez (2008) and Norregaard (2013) suggests that there is significant room for improving revenue from recurrent property taxes in developing and transition countries. We (McCluskey, Franzsen & Bahl 2017) agree, although we are less optimistic on how quickly levels of 0.6 percent of GDP can be achieved in many African countries due to a combination of counterproductive tax policies and weak administration, almost always overlaid by an unwillingness to enforce the tax. 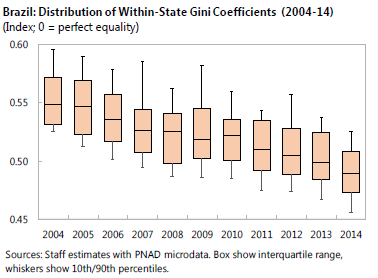 Hites Ahir: What explains the divergence in property tax collection at city vs. national level? Riël Franzsen: The answer is not straight forward. In the majority of Anglophone countries the recurrent property is a local tax, whereas in most Francophone and Lusophone countries it is a tax collected centrally albeit that the revenue may be transferred to local government. National revenue authorities use their limited resources to rather focus collection efforts on the value added tax, corporate income tax, and customs duties. The property tax is not necessarily viewed as an important tax, as it typically accounts for a very small share of national revenues and the revenue is usually remitted to local government. In Anglophone Africa, where it is generally a local tax, capacity constraints at local government level is prevalent. Political will, or rather the lack thereof, is also an important factor. Enforcement seems to be weak across the board. If taxpayers sense that enforcement is unlikely for political and/or institutional reasons, voluntary compliance suffers—especially if government service levels are poor and infrastructure is sadly lacking. Hites Ahir: How do constraints differ from country to country? Riël Franzsen: Constraints may differ from country to country, but also in-country may differ from city to city. In some countries constraints seem to be political, in others institutional, in others weak and inappropriate laws, or—most often—a combination of these. Hites Ahir: What are the prospects for property taxes across Africa? Riël Franzsen: McCluskey, Franzsen and Bahl (2017) argue that if African countries did what it takes to improve the practice of property taxation, the result could likely be more revenue mobilization, and more efficient property markets, both of which would stimulate economic growth. But the track record with tax reform in Africa has not been a good one, overall revenue mobilization lags behind that in other regions, and revenues raised from the property tax are very low. A well-functioning property tax should be a natural choice as a local government revenue source in a fiscally decentralized system. Priority must be placed on improving collection, tax base coverage and valuation, preferably in that order. Without effective collection and enforcement there is little to be gained from increasing base coverage and property valuations. Arguably the greatest failing of the African property tax is the unwillingness of governments to enforce it. Given the rate of urbanization, the implementation of a well-designed and properly administered property tax is an investment that the current as well as the future cities in Africa can ill afford to pass on. Hites Ahir: Are there success stories? Riël Franzsen: Indeed there are some success stories. These are often at city rather than country level. For example, in Kitwe, Zambia, revenue was enhanced through regular supplementary valuations, capturing new high-value construction in the tax base. In Uganda, the creation of the Kampala Capital City Authority provided political and institutional support to address the poorly performing property tax. This was done with a new, in-house Directorate of Revenue Collection employing a collection-led strategy with excellent results. The investment in the technology and skills to introduce a computer-assisted mass appraisal system in Cape Town, South Africa, paid off handsomely. More than 800,000 properties are valued three-yearly with few property owners objecting to their property values. Lastly, in Tanzania, the holistic system and database, the Local Government Revenue Collection Information System (LGRCIS), developed with the support of the World Bank, is showing promise. Cities (e.g., Arusha) have been increasing revenues from the property tax and other own-source revenues using LGRCIS. Interestingly, none of these successes stem from a comprehensive, well-designed property tax reform we argue for in the concluding chapter of the book. These “successes” all resulted from being innovative, using IT appropriately and effectively, and having strong local political support.